Back Forever Together at 6/1 with 888sport. Back Easter Lily at 25/1 with William Hill. Back Romiyna at 25/1 with Sun Bets. Saturday evening sees The Curragh play host to the fourth Classic of the Irish racing season, the Darley Irish Oaks. Considering his place at the top table of Irish horse racing leading trainer Aidan O’Brien has a relatively poor record in this contest in recent years having saddled the winner just twice since his Moonstone completed a hat-trick of wins for him in the 2008 renewal. O’Brien’s two most recent winners of the race, Bracelet in 2014 and Seventh Heaven two years ago started 10/1 and 14/1 at top horse racing betting sites respectively with the stables first string disappointing on each occasion. 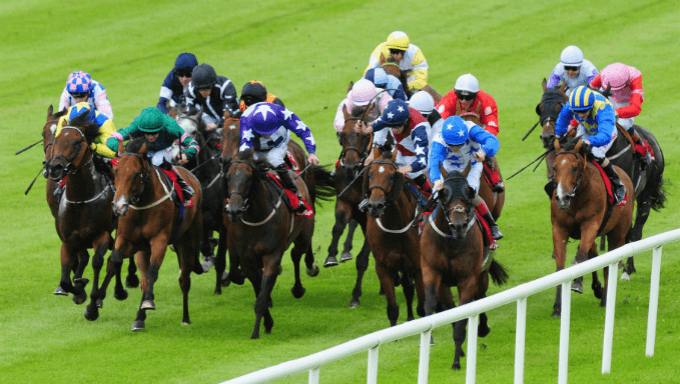 The Tipperary-based handler boasts his usual strong hand in this years renewal of the contest with impressive Ribblesdale Stakes winner Magic Wand (7/4 at Ladbrokes) heading the market at around the 2/1 mark currently. The daughter of Galileo proved a slight disappointment when beaten eleven lengths behind stablemate Forever Together (6/1 at 888sport) in the Investec Oaks at Epsom at the start of last month but back on a more conventional track last time she put daylight between herself and her rivals under top jockey Ryan Moore. Forever Together herself could make the lineup on Saturday evening having registered a four and a half-length victory when racing from mid-division at Epsom. Breaking her maiden on that occasion she has had one subsequent outing when suffering a shock defeat in a 1m2f Group 1 contest here at the start of the month. She has to prove that her Epsom success wasn’t a fluke and finished behind Magic Wand when the pair met at Chester in May. Sea Of Class (11/4 at Black Type) was in contention for a spot in the Investec Oaks until late on and she headed for a Listed contest over 1m2f at Newbury (good-to-firm) last month and duly justified short odds to take her career record to two wins from three starts. William Haggas’ charge is stepping up markedly in grade on this occasion in addition to the extra two furlongs here though her breeding suggests the latter should bring about improvement if anything. September (14/1 at William Hill), a daughter of 2007 winner Peeping Fawn is the forgotten horse in the field having yet to race this season. Representing the powerful Aidan O’Brien stable she was a winner of her first two starts last season and placed three times at Group 1 level subsequently including when beaten a nose by Laurens in the Fillies Mile at Newmarket (good) last October. Absent since finishing strongly for third in the Breeders’ Cup Juvenile Fillies Turf at Del Mar in California in early November she is bred to appreciate this step up in distance and her sire has already made his mark on the European Classic front this year when his son Saxon Warrior took the 2000 Guineas at Newmarket in the spring. September’s stablemate Magical (14/1 at Bet365) finished fourth in the aforementioned Fillies Mile last October. She proved a slight disappointment when finishing fourth on heavy ground when making her seasonal debut over 1m at Longchamp in April. Easter Lily (25/1 at William Hill) is yet another O’Brien possible here and she registered her second victory when successful in Listed company at Naas (1m2f, good-to-firm) at the end of last month. While she had looks exposed she did have one of her possible rivals here behind her in the shape of Mary Tudor. Mary Tudor (25/1 at BetVictor) herself was a Listed winner when making her seasonal debut on yielding-to-soft ground at Navan in April. The drop back to 1m didn’t appear to suit when finishing down the field at Leopardstown next time out and she holds outside claims on her first start over this trip. Bye Bye Baby (16/1 at Paddy Power) recorded her first Group race success when finishing two lengths clear of her rivals in a Group 3 on soft-to-heavy ground over 1m2f here in May. Third behind Forever Together in the Oaks subsequently she disappointed last time and would likely appreciate the ground softer than is forecast at present. Dermot Weld has saddled the winner of this race twice, most recently with Dance Design back in 1996. His sole entry this time around is the twice raced Romiyna (25/1 at Sun Bets). An impressive six length winner on debut in a 1m4f maiden on good-to-firm ground at Gowran Park at the end of May she finished sixth to Easter Lily in Listed company subsequently. She should appreciate this step back up in trip.